I received a jar of derma e Microdermabrasion Scrub in a previous Ipsy bag. I don't usually review everything from my Ipsy bags but I wanted to review this. derma e says: This award-winning, salon treatment alternative buffs skin, helping to diminish the appearance of fine lines, wrinkles and acne scars. The consistency is a white gritty cream. 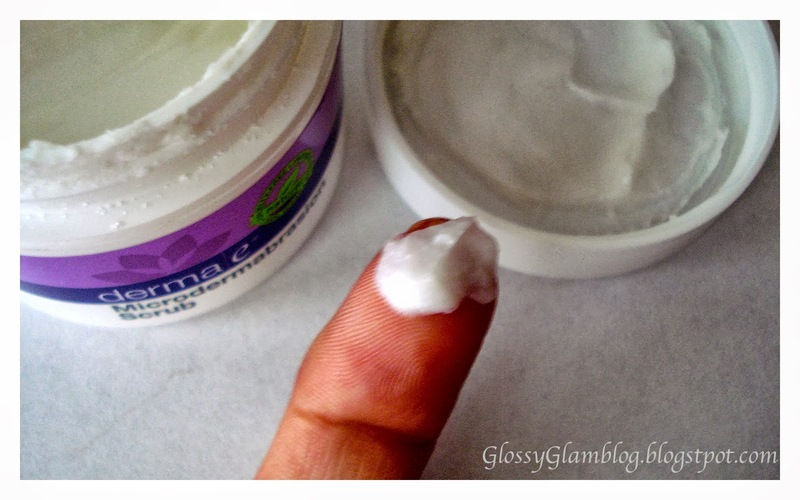 The directions say to use it once or twice a week and apply it to wet or dry skin. You then "massage gently" for 3 minutes and then rinse. I use this twice a week (when I remember) and I apply it dry. I've tried using it on a wet face and I didn't feel like it had the same affect. It definitely feels scratchy and irritating as you're scrubbing for those 3 minutes. I also leave it on for 5-10 minutes after that. I'm not sure if that does anything more but it makes me feel like it. I then rinse with hot/warm water. I haven't noticed any long term effects (maybe you need the full size jar and use it for much longer) but I love how I look after I use this! My face feels SUPER clean and looks so bright and glowy! 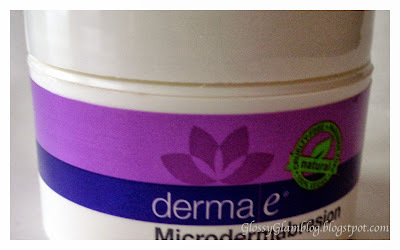 I really love the derma e Microdermabrasion Scrub. Urban Decay Haul - Part 2! Urban Decay is Having a SALE! Urban Decay Can Do NO Wrong!